Currently there are 2013 students enrolled in both summer school sessions at Elon University. Students are in the midst of the second session at Elon. In addition to 62 classes on campus, many online classes are currently offered as well this summer. 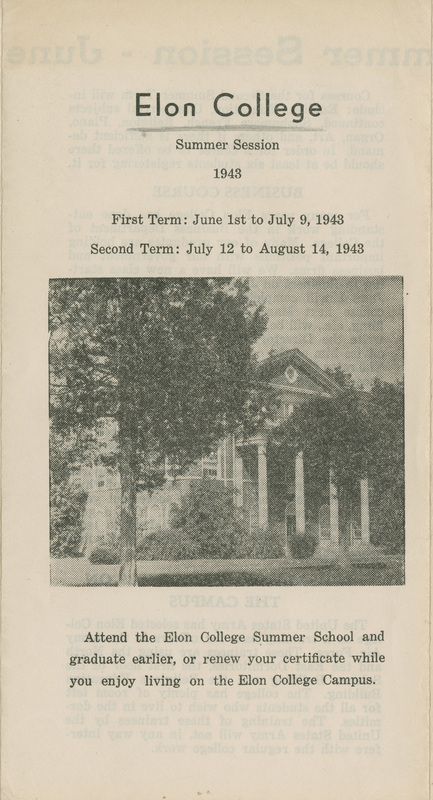 According to the Maroon and Gold on March 28, 1936, summer session at Elon began in 1933. During the late 1930s and 1940s, enrollment in summer school reached an estimated 100 students at several points. With Elon typically offering two summer sessions, in 1995 the school dropped one of the sessions and created an extended session beginning June 6 and ending July 12. This was not a permanent change. In 2001, Elon made its most recent change to the summer school program by offering more than a dozen web-based classes.